Today, this episode might be a bit controversial. In advance I apologize to all parents. I am a parent as well, however, this came from something I saw recently. I notice this more and more and more and it’s been written in the papers. This is not about parenting, it’s just compared by the way. So, again — apologies parents, but a lot of parents these days do not seem to be able to leave their children to do their own thing. What I mean by that , is helping them do everything and always being there all the time overlooking everything that they are doing. I really noticed that this week when I was at a park where little kids of all ages would have a parent. If they got up and went to the bathroom or something, the parent had to go with them. These parents would not let them out of their sight when they are about 10 or 20 feet away! If the kid looked like he or she was about to do something, the parents were running out to them, helping them do it. This does not help the child develop. They don’t learn, and it doesn’t encourage them. All it does is get your kid to think, “Daddy will do it, He’ll be around any minute if I put my arms out”. This same technique can be also explained of your staff. Can you remember what you were like the first time, or did you then sit through and show him again and do you go over it every time? Or do you now say, because you think they’re gonna get it wrong, say “Do that then bring it to me so I can check it”. I’ve heard all these things and it makes me cringe. People need time to develop and to learn. Don’t ever think that you are the only person who can do what you do. Yes, no one can do it quite like you because it’s your business, you are the owner. You love it, you know it, you’ll do it in your own time, you’ll do it for free. However, people chose the job they have, so they want to do it. They want to do their job well, they want to be allowed to do it. But, if you don’t let them develop, if you don’t let them learn by mistakes, they’re not going to help you advance your business, because what would happen is once they’d learn by their mistakes and have learn how to correct them, they’ll get better at dealing with mistake and faster and faster at developing and then because they’re doing less tasks than you they’ll be better than you. Then they’ll advance your business while you’re doing the important things. You can’t do everything. However if you treat them like a child, you’ll get two things, either, they’ll be thinking, instead of doing it, I’ll do a so-so job, it’s not worth it because the boss will check it and correct it anyway no matter what I do. And if you don’t think they’ll think that, ask them. Ask someone else. People do think that. The other one is, they’ll just be doing a half-hearted job because the thing — it’s of no point because it’s never right anyway. Why should I try putting any effort in because it’s never quite right. How about when it’s not quite right, but you are telling them what a great job it is and not criticizing? Why not try adding in — ” It’s great, but you need to make a couple of changes”. In our business, don’t forget I don’t really deal with staff. In our business we develop staff and we let them learn. We let the staff develop the system and teach us how best to do the job. It works and we get a good community. A good staff culture, it works. It’s all based in the e-myth system so we didn’t invent that. However, we find that they develop faster when allowed to learn. What we do have, two ways of being done is, one is, “great” and the other is “even better”. So everything is great and then everyone is encouraged to figure out the next time how it could be done even better and to constantly improve what they do. But they do it on their own when their little groups they’re are not told, they’re left to get on with it. These people are grown ups, your staff must have have children. They have children and they pay mortgages and they pay bills. They’re very very competent. Trust them at work. 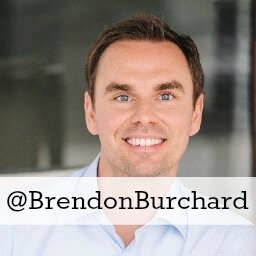 Today’s Friendly Follow is Brendon Burchard. Brendon is epic. Brendon is one of the liveliest and loveliest people you’ll ever meet. He is like a Tony Robbins. He’s fantastic, I’ve seen him on stage. He is so darn happy. The attire is fantastic, he makes you feel good. He’s written numerous books. Look up his website, follow Brendon, he’s everywhere. He has over million people in his email list. He is so darn popular. It’s just ridiculous, look up, check out what Brendon has to say. He could change your entire life. I know people who have put on to Brendon who swear by him, and now just won’t stop talking about him. So go check him out and let me know what you think! 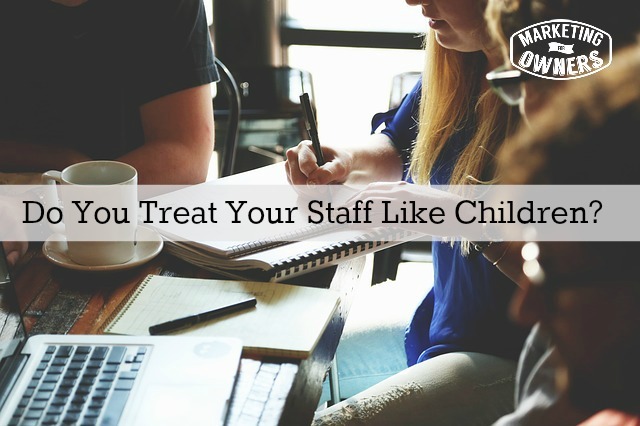 Which of your staff do you need to stop treating like a child?